Books can be a dangerous thing. Its not all that uncommon for me to be told that I shouldn’t be reading X book, or to be asked “Why are you reading that?” in a manner that implies that I shouldn’t be wasting my time reading a certain book. How can books be so dangerous? The first time I came across the first banned book when I was in elementary school, and I slurped them up. I wanted to read them and find out what drove adults to ban the book. I found that through this illicit affair with banned books, content made the books powerful beyond their authors intention. Potentially the ideas weren’t always the problem, books banned for children involved content that was found egregiously mature. But that didn’t stop me, I kept reading. My own run-in with “pagan work” was during 2010 when I was visiting the Library of Congress in Washington DC where an exhibition on Carl Jung’s “The Red Book: It’s Origin and Influence” was being exhibited (not to be mixed up with the Red Book or this Red Book or the other Red Book). Jung was a vociferous reader too, and he spent his youth trying to comprehend his dreaming and south to understand things he considered invisible and inexplicable. He was a younger colleague of Sigmund Freud, and the two of them collaborated for a period of time. However, after some time Freud accused Jung of succumbing to the “black tide” of occultism and mysticism. Jung respectively charged that Freud was too enmeshed in the dogma of reducing all mental problems to sexual issues. I too shared Jung’s perspective. 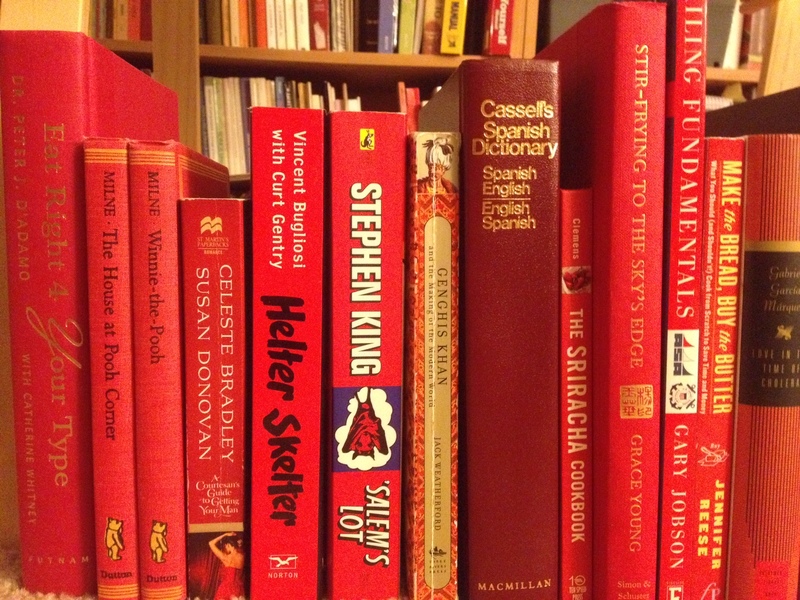 “The Red Book” was a magnificent self-experiment into the depths of dreams and psychoanalysis. The images Jung drew like a medieval manuscript depicted these magical images, scenes, and beasts that Jung explored in his unconscious. This work would later go on to establish the foundation of Jung psychoanalytical school. Freud charge of mysticism and occultism came from Jung interest in exploring Western and Eastern religious and spiritual traditions. Jung himself was a protestant minister, from a long line of them in fact. So his exploration of religious and cultural explanations for his drawings were part of his understanding of the human society and culture. Religion played a role in our inner psyche as the external manifestation of our internal wiring and programming. Jung said that only through psychiatry “was the empirical field common to biological and spiritual facts, which I had everywhere sought and nowhere found.” He was driven to find the answers to his dreams, the things that made him think and pursue education was driven through the fact that human life didn’t exist in a vacuum, and that the spiritual life of a human meant something. Jung is now very much celebrated in our society. If you haven’t heard of him, no problem, you’ve seen his thoughts in the work of Jackson Pollock, in the filmmaker Fredrico Fellini and George Lucas, author Jorge Luis Borges and most importantly through Joseph Campbell. All of these individuals have gone on to influence many others. In fact, it was the Westerner Jung who through his exploration of spirituality brought to the fore Eastern spiritual traditions and set the wheels into motion for todays New Age philosophies. Up until seeing the pages from the “Red Book” I stayed away from Carl Jung, particularly because of the school of thought that was informed by Freuds’ insinuation that Jung was a lunatic and cultish. However, in thinking about my own approach to books, I discovered that its not just from external pressure that I censored certain books, its also a degree of self-censorship too. I found that I stayed away from certain genre of books. Like for instance I haven’t touched Karl Marx’s “The Communist Manifesto” because reading it could turn me on to “communist political ideology.” Yet the entire foundation of todays world order is based on the political ideology of this book. It represents the primary oppositional force that has helped shaped life in America. As a engaged citizen, I find myself wondering why I have not engaged with this book. Its ideas should be engaged with, in opposition to the very notion of democracy and liberal political theory that drives me forward, and Islam too. Speaking of Islam, for a very long time I stayed away from books on philosophy, especially Hellenistic philosophers. This lesson was learned inadvertently during my journey toward Islam. People told me that philosophy had undone even the greatest Muslim scholars, scholars like Al-Ghazali. But Al-Ghazali engaged and then brought down those Muslim philosophers. He was significant in that he also introduced me to a different type of Islamic spirituality, one that engaged with a person psychology, its ego. But the warnings by people around me from that time set themselves deep. It kept me away from reading Al-Ghazali’s defining work, the work that “defeated his philosophical adversaries,” The Incoherence of the Philosophers. The fear was that I just didn’t know my religion well enough to grapple fully with the ideas found in these books. How silly of me? How is it that a kid goes from reading primarily from banned books to not wanting to touch books with a yard stick out of fear of loosing faith?